A WordPress Theme for Every Project? You can find over 1,400 WordPress themes at TemplateMonster. That’s an impressive amount of themes, but are they any good? In this TemplateMonster review, we’ll look at some of their best WordPress themes, the other services they offer, and whether they represent good value for money. If you’re looking for a new WordPress theme, then this TemplateMonster review will help you decide if browsing their large library is worth your time or if you should focus your attention elsewhere instead. TemplateMonster has a growing library of WordPress themes. TemplateMonster launched in 2002 and has since become one of the largest website template marketplaces in business today. WordPress themes were added to the marketplace in 2006, and there are now over 1,400 templates for the world’s most popular CMS available from TemplateMonster. The templates being sold are available exclusively from TemplateMonster and are created by a team of in-house designers. You won’t find these themes anywhere else. The TemplateMonster WordPress themes are created by a team of in-house designers. 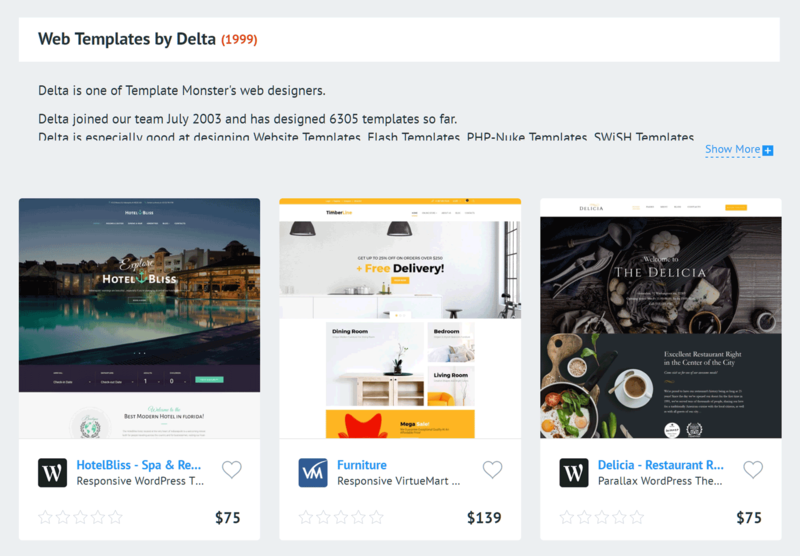 We’ll look at the pricing details in more depth later on in this TemplateMonster review, but their most popular WordPress themes are available for purchase on an individual basis for around $75. Optional upgrades are available for each theme purchase, including theme installation and web hosting. At the time of writing, TemplateMonster doesn’t offer a membership option or theme club that gives you access to all of their products for one price. As well as the standard licenses, TemplateMonster does offer a buyout license that gives you the ability to take a theme off the market and ensure you’re the last person to download it – something you might want to consider if you’re looking for a unique design for your WordPress website. 1,422 WordPress themes (plus over 25,000 templates for other platforms) available. 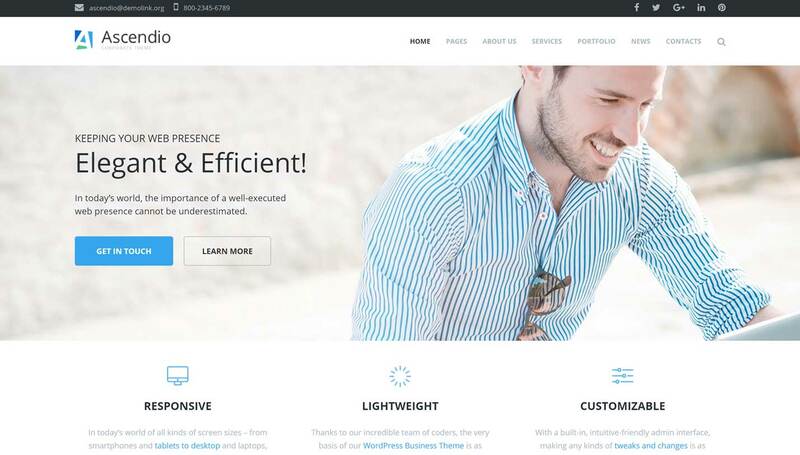 Themes span multiple categories, including blogs, portfolios, business websites, ecommerce stores, and more. A small collection of WordPress plugins. 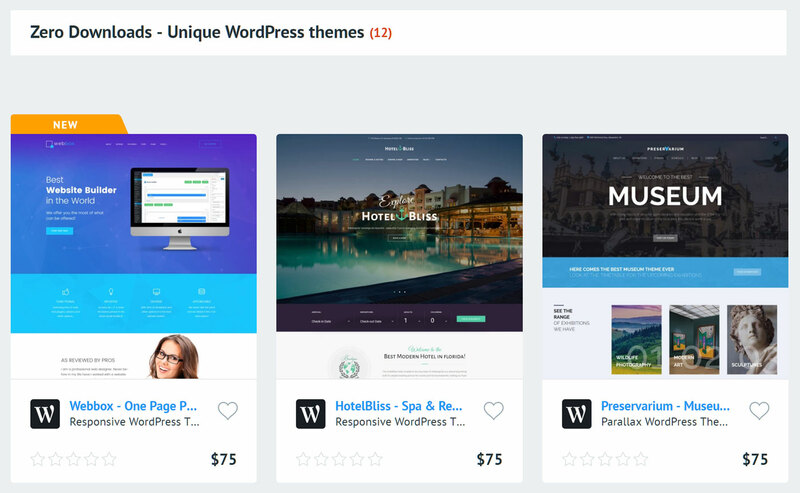 WordPress themes typically priced at $75. Extra services including theme installation, plugin packages, website and theme customization, and stock photos are available as well as web hosting offered through a partnership with InMotion Hosting. Many TemplateMonster WordPress themes include their PowerBuilder page builder tool. 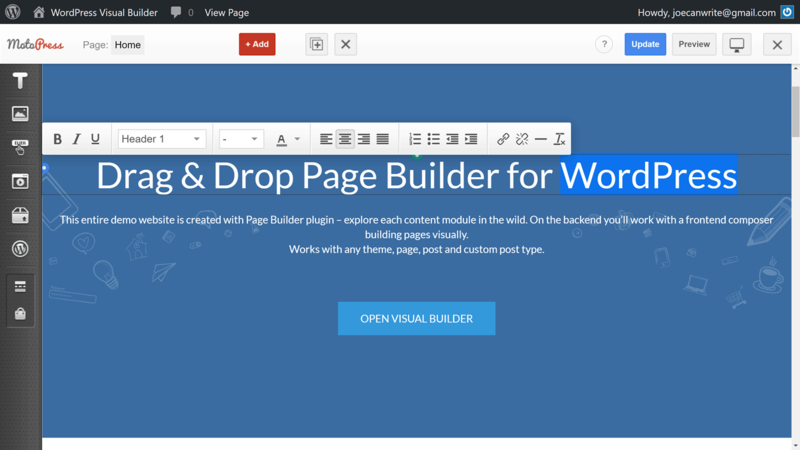 PowerBuilder drag-and-drop WordPress page builder tool. Support for the WordPress Customizer, allowing you to personalize many aspects of your website. Licensed under GPLv3 allowing you to use the theme on any number of projects belonging to either you or your clients with no limitations. Full set of online documentation for each theme. Try before you buy online admin demos for themes and plugins. Although the TemplateMonster WordPress themes are created by a team of in-house designers, their appearances vary and cover a wide range of styles. Most TemplateMonster themes let you personalize your website through the WordPress Customizer to varying degrees. The above information on what to expect from a TemplateMonster theme should be used as a general guide only. As the exact details can vary from product to product, it’s highly recommended that you check exactly what a particular theme includes before making a purchase. To help you find the best TemplateMonster WordPress themes, here are a few of the most impressive options available today. 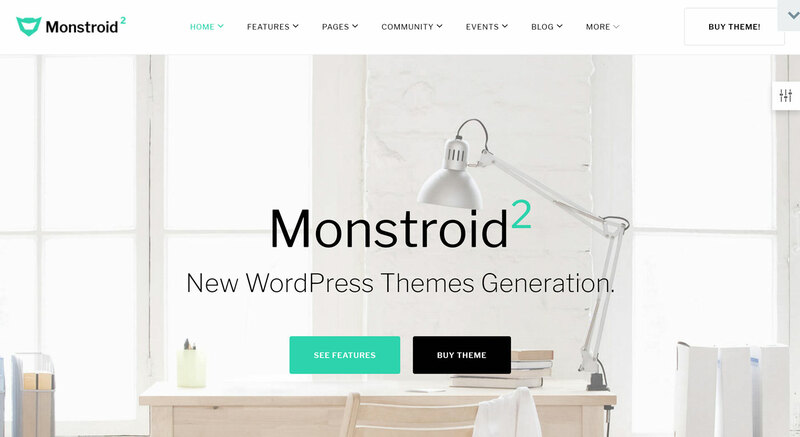 Monstroid 2 is the upgraded and improved version of the original Monstroid flagship theme from TemplateMonster. Like its predecessor, it’s certainly a popular choice that has received favorable reviews from blogs covering the WordPress community as well as customers who’ve purchased the theme. Monstroid 2 builds upon the features that made the original Monstroid theme a success. If you choose this theme, you’ll get access to a growing library of child themes that have been built for creating specific types of websites. There is also a selection of plugins included in the package, adding useful functionality to your WordPress website. Full customization options are on offer, too, including a page builder tool. 29 child themes for a range of different websites. Large library of inner page templates and layouts. Full ecommerce support for selling products and services online. READ ALSO What are the Best Enterprise-Level Hosting Plans for WordPress? Monstroid should be able to help you create almost any type of website with WordPress; however, if you’re looking for a more focused, purpose-built theme, there are plenty more options to choose from in the TemplateMonster library. Built for creative projects, Magic will help you launch a WordPress website for your personal blog, online portfolio, design agency, or photo gallery. Thanks to the full ecommerce support, no matter which of the Magic demos you choose, you’ll have the option of selling products and services from your website. The Magic website demos make good use of sliders, full-screen layouts, and eye-catching color combinations. However, as this theme is packed with customization options, you shouldn’t have any trouble adjusting the design to match your vision. 7 distinct homepage designs and 4 color skins. Slider Revolution slideshow builder plugin included. Detailed customization options and settings. 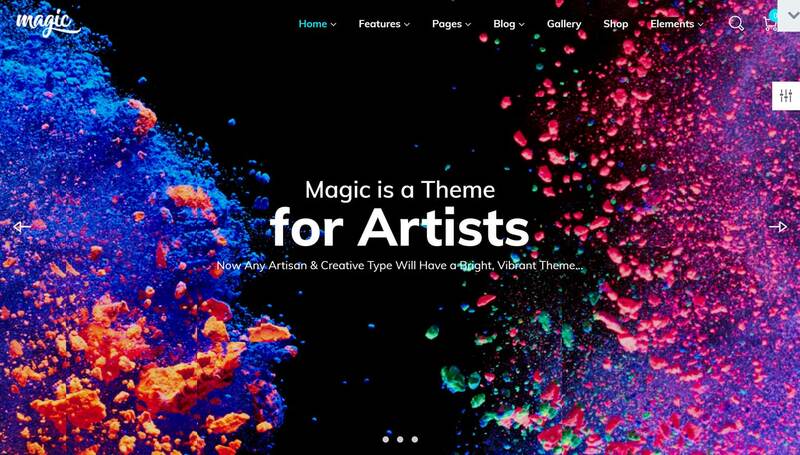 While Magic is a multi-purpose theme, it has a strong focus on creative websites thanks to its library of templates and its colorful and vibrant design. Need a serious, no-nonsense website for your business? Ascendio can help. The default homepage layout and design has everything you need to get your message across to your visitors and hopefully persuade them to take action and get in touch. From the core services list and the completed projects showcase section to the testimonials and company profile, your homepage can answer all the questions your audience might have upon arriving at your site. Everything is customizable with Ascendio. 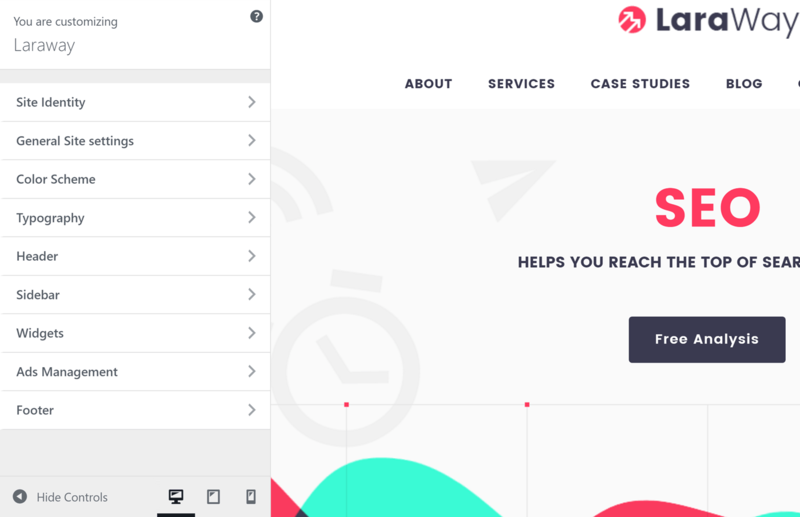 Whether you’re happy to redesign the content layouts with the drag-and-drop page builder tool, or simply change the color scheme, you should be able to get your website looking the way you want with Ascendio. An assortment of pre-built templates for your site’s essential pages. Library of content modules to enhance your pages. Selection of custom widgets for your site’s sidebars. A wealth of theme customization options and settings. Blog and portfolio sections for sharing news and completed projects. With just one website demo, Ascendio can be imported into your WordPress site and ready for use in just a few clicks. Gusto was built to enable you to create a café or restaurant website with WordPress. To achieve this, Gusto has all the templates needed to publish multiple food and drink menus on your website, plus all the other important pages a good café or restaurant website needs. Gusto even has the ability to accept reservations online if you’d like to offer that service to your patrons. You also get a good selection of pre-built website elements to work with, allowing you to mix and match them to create the right design for your site. Full set of website customization options. Custom widgets for displaying interactive content. Online appointment and bookings management tool. 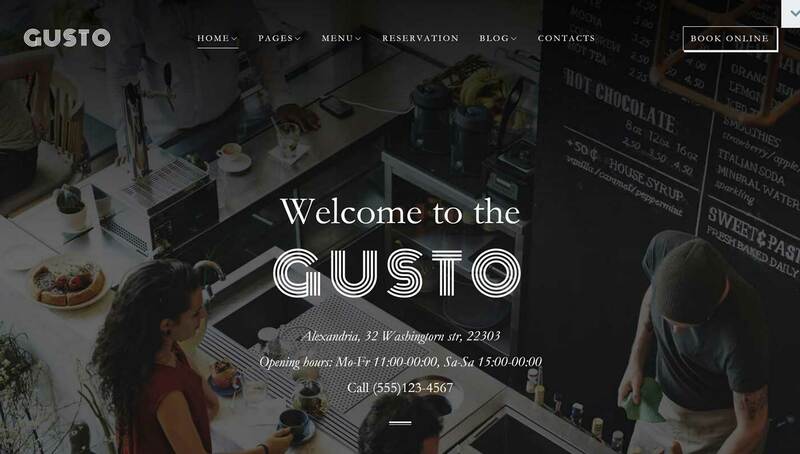 Gusto should be able to help any café or restaurant owner launch a stylish and useful website for their business. 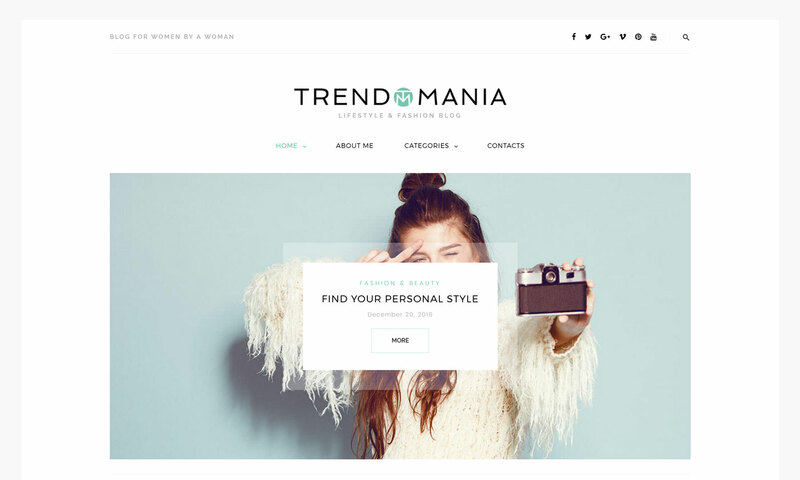 If you want to give your blog a makeover or ensure it has a stylish design from the outset, the Trendomania theme could be a good option. The overall design is minimal, although the feature list certainly isn’t. Custom widgets and a varied set of theme options give you a good amount of control over the appearance of your site. Depending on how you configure the theme, your blog could feature a mobile-friendly content slider on the homepage followed by excerpts from your most popular posts. Alternatively, you could simply use a more traditional blog layout and display your latest posts on the homepage. Trendomania is a flexible theme. Library of post formats and blog layouts. Trendomania should help you create a stylish blog that has all the necessary features to keep your visitors on site for as long as possible. 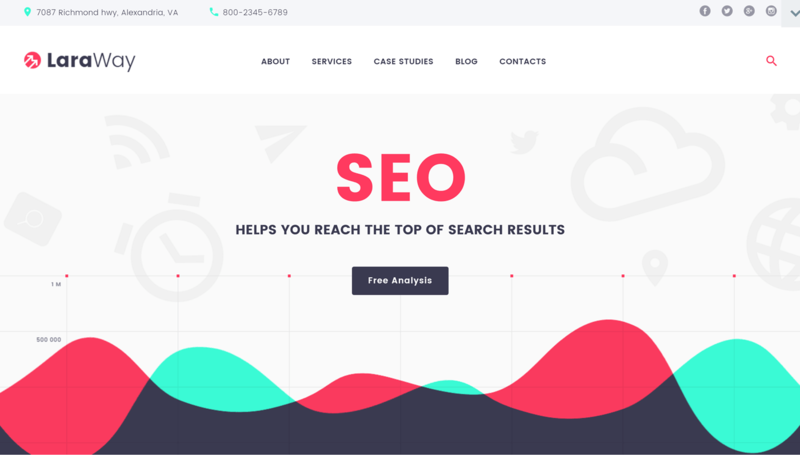 The Laraway theme demo has been set up to help you create an SEO and digital marketing agency website with WordPress. However, any business or individual offering services online should be able to make good use of Laraway. Laraway makes it easy to display information about clients you’ve worked with and projects you’ve completed. You can also use the blog templates to share the latest news from your business. Full set of customization options. Project showcase templates for publishing case studies. Library of templates for important pages and blog posts. Laraway has all the pre-built content and customization features to help you create a unique website for your business. 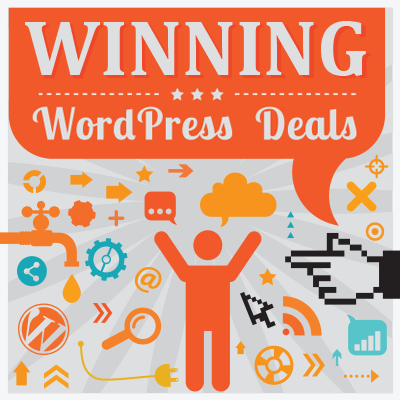 TemplateMonster also sells a number of WordPress plugins. As well as themes, TemplateMonster also offers a small number of WordPress plugins. Among the options, you’ll find the MotoPress Content Editor, a front-end drag-and-drop page builder that upgrades the standard WordPress Editor to a point-and-click, WYSIWYG website designer tool. The MotoPress Content Editor plugin adds a fully featured drag-and-drop page builder to your WordPress website. You can buy the MotoPress Content Editor plugin on its own for $29 or choose it as a paid add-on when purchasing select themes from TemplateMonster. 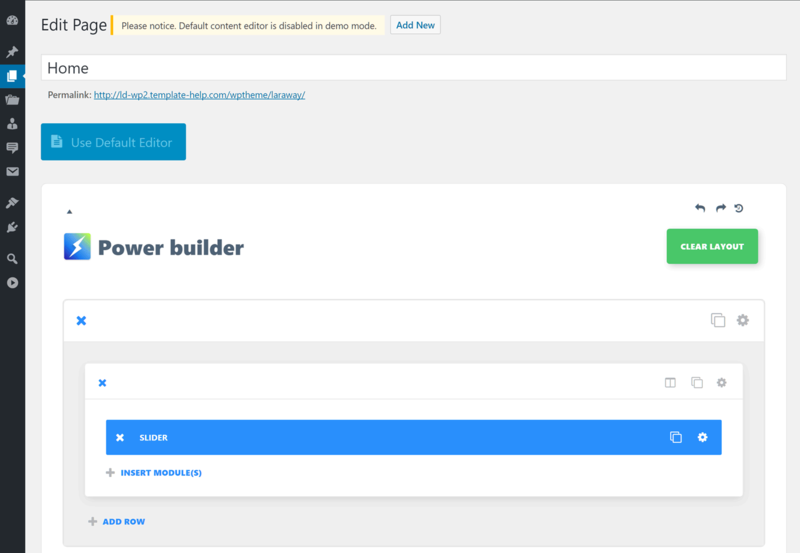 However, many of the latest WordPress themes from TemplateMonster already include their in-house PowerBuilder backend page builder tool, which offers similar functionality. The MotoPress Slider plugin allows you to create interactive animated slideshows for your website. 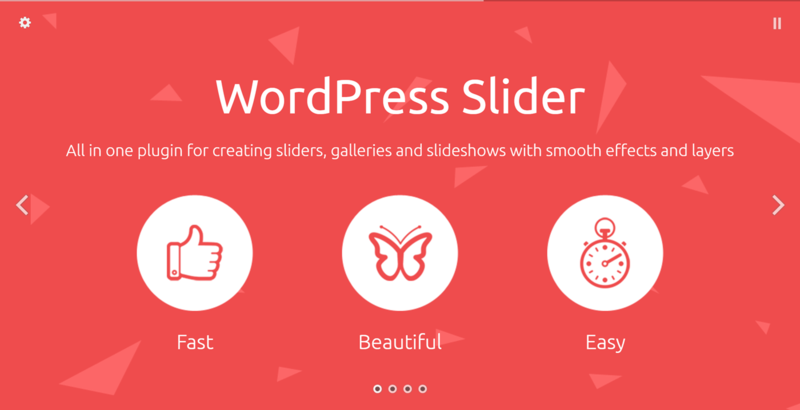 Although some TemplateMonster themes include a basic slideshow tool, they also sell the premium MotoPress Slider plugin. 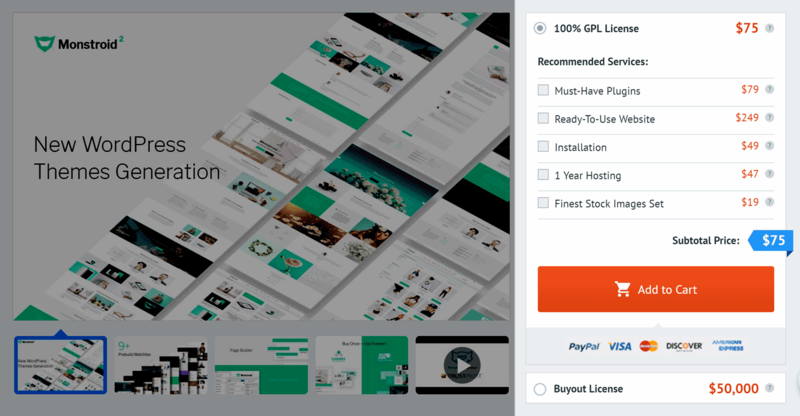 For $19 you can start adding animated, multi-layer slideshows to your website using the drag-and-drop interface of this plugin. Another premium plugin is the Hotel Booking Engine tool, which can be used to accept reservations from your hotel, guesthouse, or other similar types of websites. TemplateMonster themes can be purchased with optional upgrades. The TemplateMonster WordPress themes are available for purchase individually. While prices vary, most of their latest themes are listed for around $75. When purchasing a theme, you can add optional upgrades such as a package of recommended plugins, theme installation and customization, stock images, and web hosting through the TemplateMonster partnership with InMotion Hosting. As mentioned earlier, TemplateMonster also offers a buyout option for some of their themes. Therefore, if you find a theme with zero downloads or one that has only been purchased a few times, you could pay the extra fee and secure a theme that will no longer be on sale. The TemplateMonster website makes it easy to find themes that haven’t been downloaded yet. Prices vary for the buyout license depending on the theme — $5,000 appears to be a common amount for themes with zero downloads — but it’s something to consider if you’re looking for a unique design for your website. TemplateMonster has a good selection of niche WordPress themes. The best-selling WordPress themes from TemplateMonster should check all the boxes on most people’s list of requirements when it comes to choosing a new theme. They also offer a good selection of niche themes; therefore, if you’re looking for a theme for your barbershop or lawn care business, you’re likely to find one at TemplateMonster. The TemplateMonster upgrade options can certainly help make launching a WordPress website easier. Letting TemplateMonster take care of the theme installation, website customizations, and hosting removes much of the friction that can prevent you ending up with a working website you’re happy with. However, there are many other WordPress themes out there that can compete with the best products from TemplateMonster. 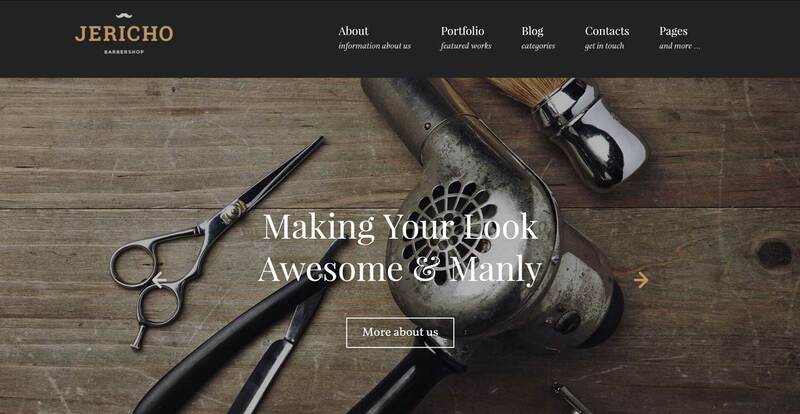 Divi from Elegant Themes is an impressive multi-purpose option that is constantly improving and can be used to create any type of website with WordPress. StudioPress Sites and Envato Hosted are just two other services that can provide you with everything you need to get your WordPress website online, including a high-quality theme, support, and hosting. If you like what you see, there’s no reason not to choose a WordPress theme from TemplateMonster. However, as there are so many other places to find top quality WordPress themes, you might want to shop around before making a final decision. Using/used a theme from TemplateMonster? Thoughts? From my experience running a wordPress website and offering services to clients, it is much more reliable to buy products from templatemonster than themeforest. They have excellent aftersales service.